Quickball: Current and rising kindergartners (boys and girls ages 4-6) learn the basics of baseball in a fun, active and encouraging environment. Quickball teaches and strengthens baseball/softball skills by offering multiple hitting, fielding and throwing chances for all players during each game. Players must be at least 5 years old by September 1. We try to honor, but cannot guarantee, teammate and coach requests. Click here for more info. AAA: Our league for 1st/2nd graders starts as machine-pitch, which often lessens the fear of being hit by a pitch and leads to more action in the field. As confidence builds and players become more comfortable, most teams will transition to a coach-pitch from the mound. We try to honor, but cannot guarantee, teammate and coach requests. 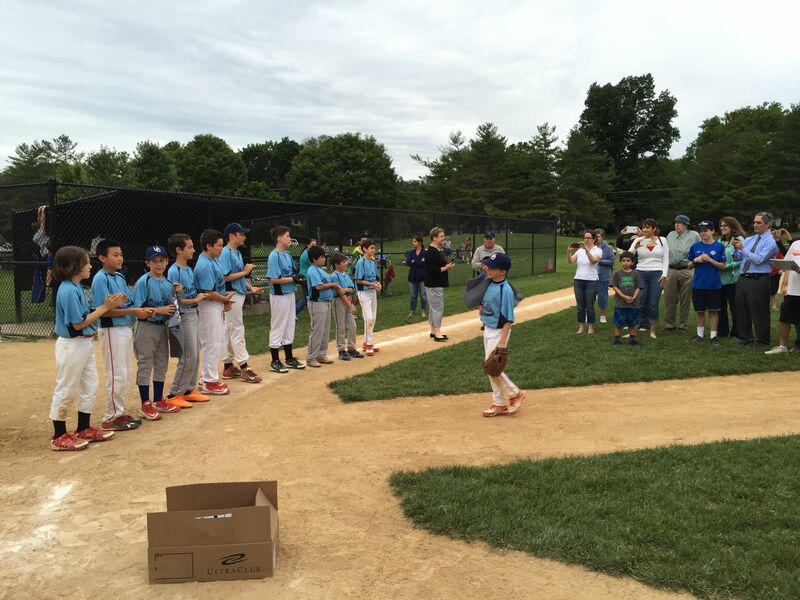 Rookies: The 3rd/4th grade league is all kid-pitch. Players will refine their skills on a 60-foot field and play more structured, competitive games with minor rules adjustments. The Rookie league is the youngest division to enter the batting cages in addition to field practices. At this age, we are no longer able to accommodate player/coach requests. Majors: The 5th/6th grade league moves up to a 70-foot field as players improve their level of game strategy. Both Majors and Rookies will play with teams that include travel players in a more relaxed but still competitive environment. Again, we can no longer accommodate player/coach requests. Juniors: The oldest Intramural division is for kids in 7th/8th/9th grade (15U). Teams play in a “light travel” league. For older kids (16+), teams and league placement will be dependent on the number of registrants. Beginning with the AAA league, teams will play two games per week: one weeknight and one on Saturday. These schedules may vary depending on the number of teams. We are also dependent on weather and schedules may change according to rain and poor weather conditions.